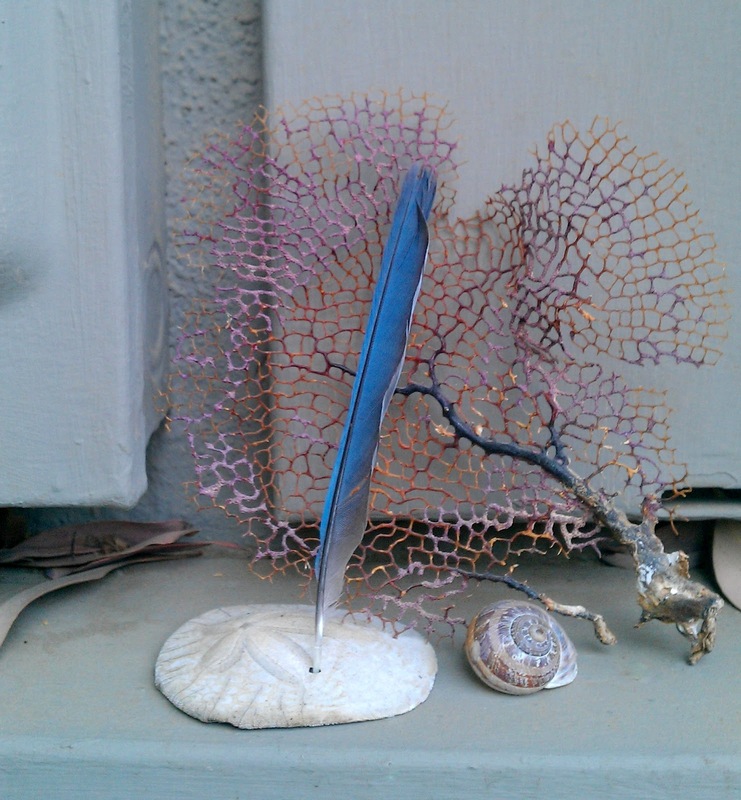 *costa rican coral, garden snail shell, pismo beach sand dollar, blue jay feather. wow! what a beautiful still life! be still my heart! so, so lovely. beautiful. and what i want to know is how you transported that coral back from costa rica!